International Children’s Book Day is celebrated each year on Hans Christian Anderson’s birthday. 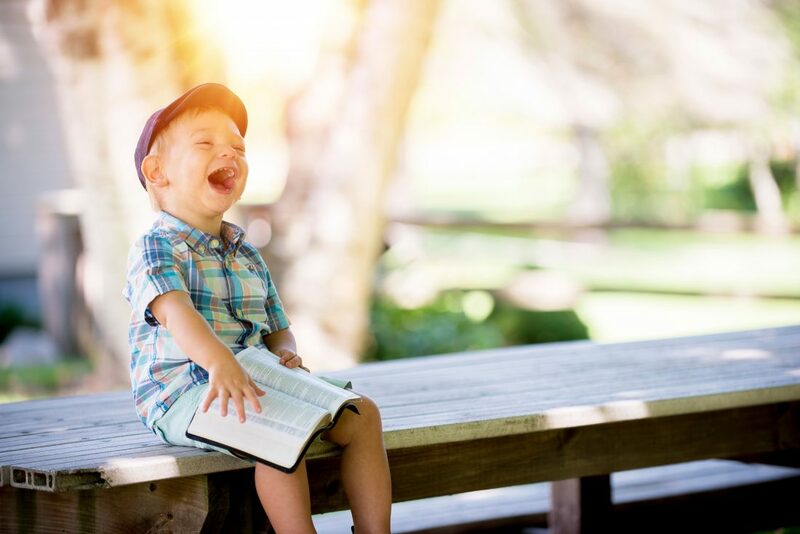 As the master of fairy tales, we want to share with you some of the literary magic you can enjoy whilst you holiday in the Lake District with Lakelovers. First stop on our children’s literary tour in the Lake District is Coniston. Author of the popular children’s adventure book series, Swallows & Amazons, Arthur Ransome learnt to sail on Coniston Water and thus the lake, its island and nearby landscape, filled with adventure and intrigue, became the inspiration for the Walker children’s holiday adventures. Just outside Coniston Water, you’ll find Tarn Hows, arguably the prettiest walk in the Lake District and more importantly a very safe and accessible place for family adventures akin to those enjoyed in Swallows & Amazons. This manmade tarn, created from two natural bogs, is like a sparkling mountain resort in miniature. And it is its elf-like size that gives the scenery here so much charm. Larch and conifer trees stand perfectly, like little matchsticks and the glass-like water shimmers with mystery and otherworldly reflections. From Tarn Hows, head off the well-travelled shoreside path on an adventure along the tumbling Tom Gill stream. Here you will come across two waterfalls – look out for sprites and other magical fun on this great family friendly woodland walk. In fact, this is a walk that Beatrix Potter loved so much that she bequeathed it to the National Trust to ensure it can be enjoyed by Peter Rabbit fans for generations to come! 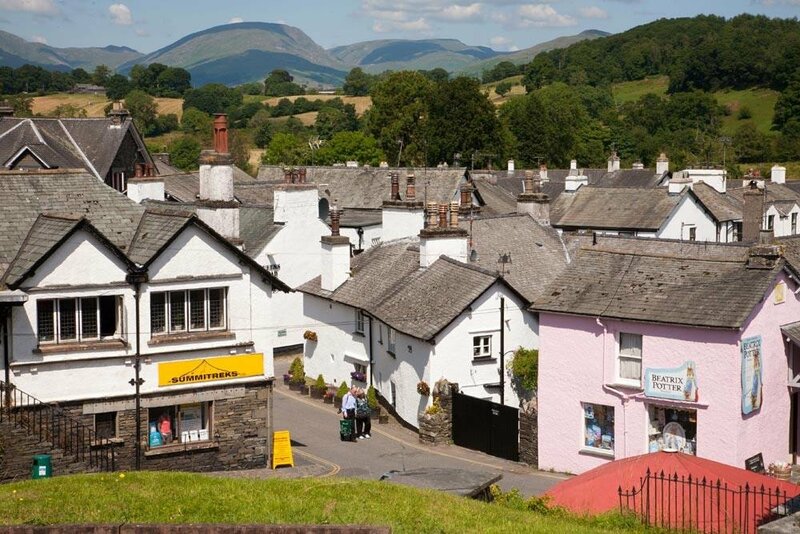 Next up is Hawkshead, home to the gallery of the Lake District’s most famous children’s author, Beatrix Potter. Here you can see the mischievous characters of Ms Potter’s Peter Rabbit and Friends Tales come to life in her original letters, filled with ink sketches of clothed mice serving tea and delightful rabbits occupying themselves with baking and blackberry picking. For those with a young family, catch a cruise or ferry boat over Windermere to visit the superb World of Peter Rabbit attraction. The tiny, pretty village of Hawkshead is itself a magical place to immerse your family’s imagination. It is car-free and so remains beautifully preserved giving it a wonderful air of history that is relaxing to walk around with a pushchair and little ones. There are three small squares arranged around the church, perched grandly on a small hill. 17th century white-washed cottages, pubs, tea rooms and boutiques are scattered somewhat haphazardly with an interconnecting weave of cobbled streets. Look out for the beautiful vernacular telling of the village’s story as an important woollen industry and trading village. Perhaps your family can pen their own Lake District adventure or diaries, much as William Wordsworth did when he attended the Grammar school here in Hawkshead. Head further south to visit Lakeland Miniature Village, just outside Cartmel. Here you’ll feel like Roald Dahl’s BFG or Ted Hughes’ The Iron Giant, as you wander around a lakeland village in miniature, handmade from local Coniston slate. See the Lake District’s top literary attractions, such as Beatrix Potter’s Hill Top Farm, here in miniature. What story backdrop would your imagination create if you and your family were penning their own book? Heading north of Lake Windermere, in the centre of the bustling Lake District town of Ambleside is the popular Hayes Garden Centre. Their Fairy & Dragon World is an award-winning attraction, and it is returning to the popular garden centre again this year, starting this Easter. This attraction is sure to get the creative juices flowing and literary minds whirring. Hayes Fairy & Dragon World opens daily between Saturday 24th March & Sunday 15th April (Closed Easter Sunday 1st April). Every Friday, Saturday & Sunday from 20th April to 5th September plus daily between 28th May to 1st June & 20th July to 5th September. Booking via Hayes Garden World is essential (£10 per child and £2 per adult). Oh, whilst visiting also look out for our lovely new Lakelovers Ambleside Gold office opposite! Into the spiritual heart of the Lake District, we enter Grasmere. Faeryland tearoom and row boat hire on Grasmere water is just how you’d imagine a pixie world to be. It is one of hushed voices, soft star mosses, bouncing ferns, fairy bluebells and beautifully painted row boats. For adults and children alike, time spent here is like entering a kingdom of relaxation where everyday thoughts drift away and imaginations can run free. Are you relaxed enough to “access the magic of the Faery Realm” that’s on offer here at Faeryland Grasmere? Legends are all around Cumbria and they are as magical as ever, here at Beetham fell. Beetham Fairy Steps are in south Cumbria and only a ten minute drive from Levens. Head up the fell – very doable for little legs – and find some ‘fairy steps’. Take the miniature steps between two large boulders without touching the sides and fairies will grant you a wish! This fabulous kid friendly walk is best enjoyed on a dry day as the steps can be slippery and perhaps if you come prepared ‘fairies’ may leave some treats for little ones to find behind the magical fairy door in a tree stump! Whatever your book adventure, we couldn’t think of a better place to start it than in the Lake District. Do share your Lake District literary holiday adventures with us over on Lakelovers Facebook.